Let me tell you about my first experiences with toner. It was the 1990's and there were many "it" skin care products plastered on the pages of Seventeen magazine that you just had to have. The first was Sea Breeze Astringent and I will never forget the potent burn of alcohol and witch hazel. I would stand there in the bathroom squinting my eyes while I smeared it all over my face thinking "oh yes, the burn means it's definitely working." Then I moved up in the world and bought Clinique STEP 2 Toner. Which is basically the same ingredients but cost me more babysitting money. (That free gift with purchase was my jam back in the day!) I look back at photos of myself with a super shiny face and realize now that it was all because my using alcohol-based toners on my face! Anyway, enough about my terrible teenager skin care choices! A toner is a liquid solution that is used as the second step of a skincare routine. It's considered an extension of cleansing to remove any excess makeup, oil or dirt on the skin especially if used on a piece of cotton. It helps to balance the pH of the skin if your cleanser is not pH balanced and it's used to prepare the skin for better absorption of the next skincare steps in your routine. 1. The "cleansing family" which includes tonics and astringent ingredients like witch hazels and are ideal for combination, oily and congested skin types to really break down waxy sebum. 2. The "nourishing" or hydrating family which includes hydrosols, hydrating and calming toners and may be used by all skin types but especially ideal for dry, sensitive, reactive, dehydrated and combination skin types/conditions to leave a light layer of hydration on the skin. 3. The "acid" or active family which includes AHA/BHA toners and are considered more of a light exfoliating treatment layer. These may be used for all skin types to receive certain skin benefits like smoothing texture, lightening pigmentation, healing acne, etc. Before I dive into all the different types I will mention one ingredient commonly found in toners that I advise against - simple alcohols. They are listed as alcohol denat. ethanol, denature, methanol, bezyl, isopropyl, SD alcohol and SD alcohol 40. All of which is very drying, stripping of the skins natural oils which leads to an accelerate oil production which in turn can cause acne, as well as strip the protective barrier layer of the skin which invites environmental damage. For further reading here is a full blog post about alcohols in skincare. Witch hazel is a plant-derived ingredient and comes from the bark and leaves of the witch hazel scrub and is known for its healing, anti-inflammatory, and astringent properties. Pure witch hazel extract is high in tannins which is an antioxidant and constricts the blood flow to the surface of the skin. While many people view witch hazel as a safe natural ingredient for the treatment of acne it may do more damage than good for some skin types. It can be very drying and inflammatory for dry, sensitive, normal and combination skin types. Since it's considered an astringent toner I only recommend witch hazel for oily, oily-acne-prone and congested skin types. Keep in mind almost all commercial witch hazels contain anywhere from 10-30% alcohol in them because the standard (and cheaper) commercial extraction process is steam alcohol distillation. Unless the bottle specifically states "alcohol-free" it will contain it. Look for alcohol-free, synthetic fragrance/dye free, menthol/camphor free and with the name Hamamelis Virginiana (witch hazel) high up on the ingredient list. I recommend Thayers Alcohol-Free Unscented Witch Hazel. These types of toners help to break down and remove waxy oil from the skin are ideal for combination, oily and congested skin types because they contain naturally astringent and antiseptic ingredients such as any citrus, lavender, ginger or jasmine without the overly drying and irritating effects like alcohol and witch hazel could potentially have. Hydrosols are basically flower, tea or plant waters distilled in water. They are pretty simple gentle formulas with only a few ingredients and often contain glycerin to help draw water to the surface of the skin. Often hydrosols and hydrating toners are one of the same. They are water-based and contain nourishing, hydrating and soothing ingredients. These types of toners are the most kind to the skin and are best suited for dry, sensitive, dehydrated, normal, combination skin types. 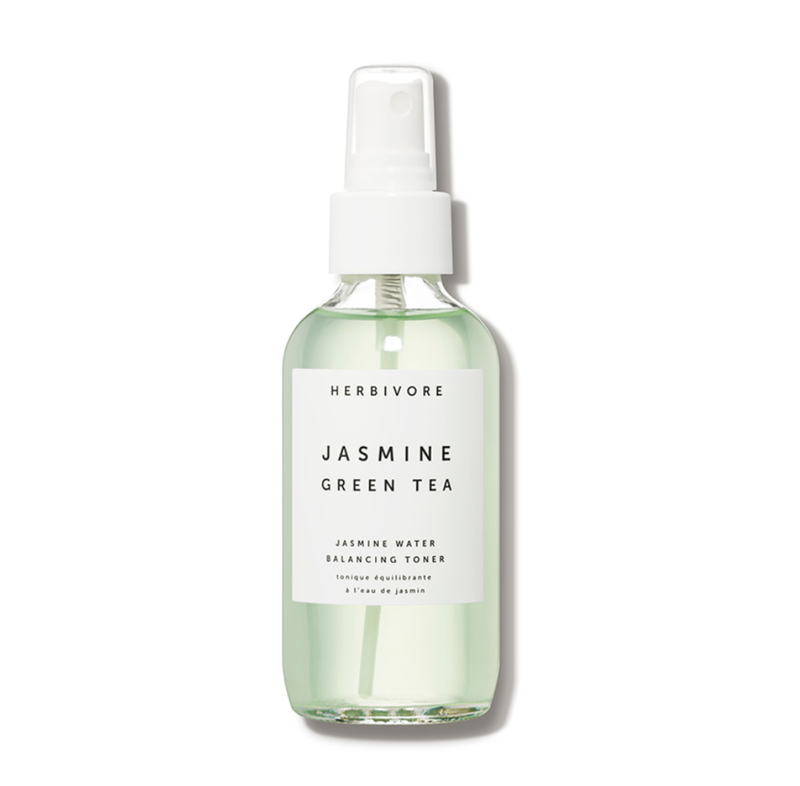 Pretty much any skin type can use them and even the oiliest can benefit by having a hydrating toner in addition to an astringent in their arsenal of skin care products. Acid toners contain one or a blend of different types of alpha hydroxy or beta hydroxy acids like glycolic, lactic, mandelic or salicylic acids. They are fantastic if you are trying to achieve a certain skin result or have a specific skin issue such as dullness, clogged pores, texture, pigment or acne. These types of toners fit in a skincare routine a little differently than a cleansing or hydrating toner would. While the benefits are considered to be exfoliating, they do not completely replace a true exfoliation step in a routine. Think of these types of toners as a light treatment layer left on the skin. They can be used up to nightly but often recommended every other night to a few nights a week. Since AHA/BHA's can make the skin sun sensitive, it's recommended to use as a nighttime product. While toners have been around for quite a while, essences are a fairly new category of skin care in the United States. They have actually been around for almost two decades in Asian skincare! The job of an essence is to prepare the skin for the next step and help aid in the regeneration process of the skin. They contain a high concentration of ingredients and since it's a thinner product in consistency, they absorb rather quickly. Essences fit right in between a toner and a serum ingredient, step, and consistency wise. How can a toner be used? 1. After cleansing, on a piece of cotton to wipe away any excess oil, dirt, and makeup. 2. Spritzed on a bare face after cleansing or over makeup to refresh the skin. 3. Poured into the palm of your hand and pressed into the skin after cleansing. 4. Spray your beauty blender with a hydrating toner instead of using water to dampen it. 5. Multiple toner method - Use an in-active toner like a hydrating or cleansing toner on cotton first and a few times a week follow it with an exfoliating acid toner per your skin type and concerns. 6. The Korean Beauty "7 skin method" which entails applying a small amount of hydrating toner 7 times if you're feeling a little bit extra. This is tricky but common question I receive! The answer is no your face isn't going to fall apart if you don't use one....you don't need a toner, but they are a GREAT idea! They can be a wonderful way to add active ingredients, give extra cleansing, leave hydration on the skin and help aid in penetration of products.